Mary Lee Ator was born on 4 August 1921 in Doniphan, Ripley County, Missouri. As of after 1937,her married name was Bagwill. She married Colonel Buford Osborn Bagwill, son of Colonel Benjamin Harrison Bagwill and Holsie Rosettie Osborn, after 1937. Mary Lee Ator died on 29 July 1972 in Middlebrook, Randolph County, Arkansas, at age 50. Effie Bagwill was born in 1883 in Jackson County, Illinois. She was the daughter of Miles Standish Bagwell and Molly H. Ridge. Effie Bagwill died in 1904. She was buried at New Hope Cemetery, Torch, Ripley County, Missouri. Shirley Fay Bagwell was born on 20 November 1938 in Kentucky. She was the daughter of Ervin Leslie Bagwell II and Ora Mae Jewell. Shirley Fay Bagwell died on 4 February 2016 in Wooster, Wayne County, Ohio, at age 77. BROWDER - Roberta Louise Minton, 90, died Friday, May 22, 2009 at Methodist Hospital in Henderson. Born in Muhlenberg County Aug. 31, 1918, she was a homemaker and member of Gospel Assembly of Peace in Evansville, IN. She was preceded in death by her husband, James Curtis Minton; two sisters, Ruby Bowers and Anna Sova; and a brother, Roy Bagwell. Survivors include two sons, Michael Keith Minton of Henderson and David Allen Minton of Boonville, IN; a daughter, Jean Earl Hill of Darmstadt, IN; a sister, Shirley Pleban of Wooster, OH; four grandchildren and five great-grandchildren. Graveside services were held at 1 p.m. at Ebenezer Cemetery with the Rev. James Mercer officiating. Tucker Funeral Home in Central City was in charge of the arrangements. She was buried at Ebenezer Cemetery, Ebenezer, Muhlenberg County, Kentucky. James C. Minton was born on 8 December 1910 in Muhlenberg County, Kentucky. He married Roberta L. Bagwell, daughter of Ervin Leslie Bagwell II and Ora Mae Jewell, before 1938. James C. Minton died on 30 September 1989 in Browder, Muhlenberg County, Kentucky, at age 78. Ruby Mae Bagwell was born on 16 September 1916 in Muhlenberg County, Kentucky. She was the daughter of Ervin Leslie Bagwell II and Ora Mae Jewell. As of after 1931,her married name was Bowers. Ruby Mae Bagwell married James Orren Bowers after 1931. Ruby Mae Bagwell died on 2 January 1988 in Middleburg Heights, Ohio, at age 71. James Orren Bowers was born on 4 May 1915 in Los Angeles, Los Angeles County, California. He married Ruby Mae Bagwell, daughter of Ervin Leslie Bagwell II and Ora Mae Jewell, after 1931. James Orren Bowers died on 14 February 1979 in Middleburg Heights, Ohio, at age 63. Deloris Ruth (Jackie) Bagwell is the daughter of Ervin Leslie Bagwell II and Ora Mae Jewell. Deloris Ruth (Jackie) Bagwell married Clarence E. Moore on 14 September 1945 at Columbiana, Ohio. Deloris Ruth (Jackie) Bagwell married John Wallack on 14 January 1947 at Columbiana, Ohio. Clarence E. Moore married Deloris Ruth (Jackie) Bagwell, daughter of Ervin Leslie Bagwell II and Ora Mae Jewell, on 14 September 1945 at Columbiana, Ohio. John Wallack married Deloris Ruth (Jackie) Bagwell, daughter of Ervin Leslie Bagwell II and Ora Mae Jewell, on 14 January 1947 at Columbiana, Ohio. Floyd Edward "Arkie" Bagwell was born on 27 October 1935 in Mississippi County, Arkansas. He was the son of Emmett Gilmore Bagwell and Ruby Inez Chism. Floyd Edward "Arkie" Bagwell married Sue Barger on 22 December 1954. Floyd Edward "Arkie" Bagwell married Ida Mae Reed on 13 January 1962. 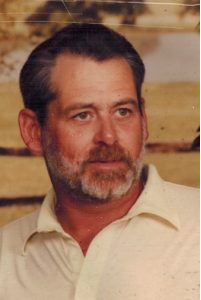 Floyd Edward "Arkie" Bagwell died on 19 April 2010 at age 74 Floyd E. "Arkie" Bagwell, age 74, of Tekonsha, was stricken unexpectedly while mowing his lawn at home on Monday, April 19, 2010. Floyd was born at home in Mississippi County, Arkansas on Saturday,October 27, 1935 to Emmett Gilmore and Ruby Inez (Chism) Bagwell. He attended Keiser, Arkansas schools where he excelled as an athelete. He was a member of the All State Football Team and was a champion Golden Gloves boxer. Arkie was a determined young man and left home the first time at the age of 14 to go to Peoria, Illinois where he fudged his age and got a job at Caterpillar. A following summer he went to Indiana and picked tomatoes. At the age of 16 he left home to move to Marshall to live with family and got a job at Crowell Carton. His Grandmother Chism helped him manage his earnings and he saved enough to buy a car. Floyd drove back home to tell his family about the jobs available in Michigan and urged them to follow him back. That they did. He was a familiar face at Don Moor's Farm Fresh Meat in Clarendon Township. He was the Foreman in the Slaughterhouse there for 26 years. After that he took a job with Permabilt Homes in Marshall where he worked for 15 years until his retirement in 1996. After his official retirement Floyd worked with Al Beglin doing carpentry work. Floyd was married to Sue Barger on Dec. 22, 1954. She preceded him in death May 29, 1960. He was married to Ida Mae Reed on Jan. 13, 1962. She also preceded him in death April 28, 1985. Floyd and Gayle Irish became partners in life together until she preceded him in death on May 20, 2005. Floyd enjoyed what one may refer to as an"energetic discussion" with others! He very much was a supporter of the Green Movement and was a believer in Solar and Wind Energy. He enjoyed the fruits of his garden he maintained every year. Fishing with his friend Bob Lawrence was a favorite pastime as was spear fishing. He had enjoyed a bear hunting trip to Alaska . He lived in Clarendon Township for the majority of his life where he enjoyed taking care of his property. He was an inventor and tinkerer. An example was when he turned a new rotor tillar into a lawn mower by swapping the engine to a mower frame and mounting a bus seat on it so he could be sure to take 2 grandchildren with him down to the St. Joe River. A "Floyd modified" steel hulled Tug Boat/House Boat was a familiar sight on Stuart Lake where he and Gayle would enjoy a summer afternoon. It was unique so it was definitely memorable especially when he launched his pick up truck with the boat one day and the boat won the battle over who weighed more! Most of all Floyd loved his family and all the time he could spend with them. Surviving are his children Vickie (Jim) Grogan of White Lake, Brenda Lawrence of West Lafayette, IN, Patsy (John) Malicki of Waterford, and Carl (Tamra) Bagwell of Tekonsha; 8 grandchildren, Raymond, Amanda, Sean, Brad, Kendra, Suzanne, Reid, and John, and 4 great-grandchildren Kelsey, Karleigh, Jared and Aidia; his siblings Shirley (Jim) McKay of Memphis,TN, Bobby (Marie) Bagwell of East Leroy, and Peggy Schell of Texas; nieces and nephews. He was also preceded in death by his parents and a brother T. Douglas Bagwell. Friends may call at Craig K. Kempf Funeral Home and Cremation Services, 723 Old 27 North, Marshall on Thursday, April 22, beginning at 3PM. A service celebrating his life will begin at the funeral home at 5PM. Follwing the service friends are invited for food and fellowship in the Kempf Reception Hall at the funeral home. Please stop by if unable to attend the service. Cremation will follow services. The family would like those who might give flowers or a memorial contribuiton to instead purchase a tree and plant it in Floyd's memory in a place of their choice. To leave a message for the family visit www.kempffuneralhome.com. He was buried at West Clarendon Cemetery, Clarendon, Clahoun County, Michigan. As of 22 December 1954,her married name was Bagwell. Sue Barger married Floyd Edward "Arkie" Bagwell, son of Emmett Gilmore Bagwell and Ruby Inez Chism, on 22 December 1954. Sue Barger died on 29 May 1960. Ida Mae Reed was born in 1939. As of 13 January 1962,her married name was Bagwell. She married Floyd Edward "Arkie" Bagwell, son of Emmett Gilmore Bagwell and Ruby Inez Chism, on 13 January 1962. Ida Mae Reed died on 28 April 1985. She was buried at West Clarendon Cemetery, Clarendon, Clahoun County, Michigan. Vickie Bagwell is the daughter of Floyd Edward "Arkie" Bagwell and Sue Barger. Brenda Bagwell is the daughter of Floyd Edward "Arkie" Bagwell and Sue Barger. Patsy Bagwell is the daughter of Floyd Edward "Arkie" Bagwell and Sue Barger. Carl Bagwell is the son of Floyd Edward "Arkie" Bagwell and Sue Barger. Ruby Inez Chism married Emmett Gilmore Bagwell, son of James Wiley Bagwell and Elizabeth F. Edwards, before 1935. Rufus Bagwell was born in 1904. He was the son of Robert L. "Bob" Bagwell and Bettie Lanthrip. Rufus Bagwell died in 1921. He was buried at Enon Cumberland Presbyterian Church Cemetery, Ackerman, Choctaw County, Mississippi. Bertis Ruth Bagwell was born in 1904 in Ackerman, Choctaw County, Mississippi. She was the daughter of Robert L. "Bob" Bagwell and Bettie Lanthrip. John Tommie Bagwell was born on 12 January 1912 in Choctaw County, Mississippi. He was the son of Robert L. "Bob" Bagwell and Bettie Lanthrip. He was a Technician fourth grade (TEC4), Howitzer, Company 665, Tank Destroyer Battalion in the US Army during World War II. John Tommie Bagwell died on 24 October 1969 in Ackerman, Choctaw County, Mississippi, at age 57. He was buried at Enon Cumberland Presbyterian Church Cemetery, Ackerman, Choctaw County, Mississippi. Margaret (?) married William H. Bagwell, son of George Plez Bagwell and Racilla Robinson, before 1952. Kay Bagwell is the daughter of William H. Bagwell and Margaret (?) Kay Bagwell married (?) Madewell after 1965. Amy Bagwell is the daughter of Allen Frederick Bagwell. Allen Frederick Bagwell Jr. is the son of Allen Frederick Bagwell. (?) Madewell married Kay Bagwell, daughter of William H. Bagwell and Margaret (? ), after 1965.